VICE-CHAIRMAN Paul Oakes believes Fairfield Villa’s Les James Challenge Cup victory over Birmingham Tigers shows the club have the confidence to start a winning run. Fairfield will now meet Knowle in the quarter-finals at a date yet to be scheduled following their 7-2 win at the Recreation Ground last Saturday. Wayne Davis’ men made hard work of the first half as Tigers took an early lead before Connor Collins and Ryan Molesworth nosed the hosts ahead. But the visitors then levelled on the stroke of half-time. However, the second half was a different story for Fairfield as Daniel Pitt bagged a hat-trick with Collins and Jarrad Hill completing the scoring. “When we conceded from the first attack I thought ‘here we go again’,” said Oakes. “The first half was not the greatest but in the second we absolutely dominated the game. “We could have won by double figures if it had not been for their keeper who kept the scoreline respectable. 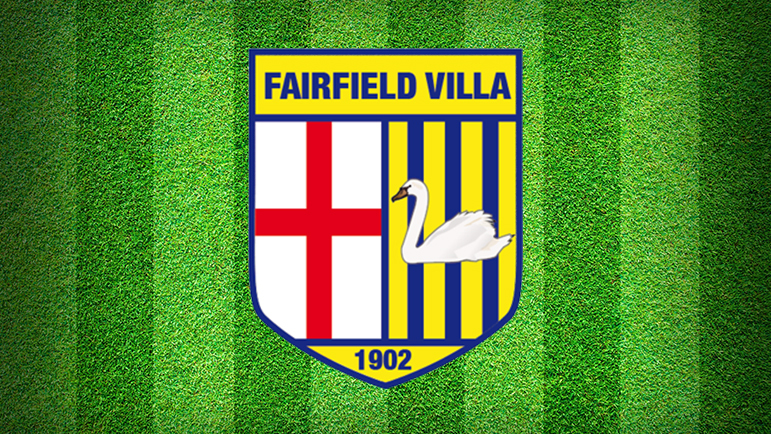 Fairfield’s attention returns to Midland League Division Two tomorrow (Saturday) when they make the trip to basement boys Pelsall Villa who play at the ML Safety Stadium, home of Walsall Wood. Pelsall are yet to win this season but are unbeaten in their last three league games having drawn with Coton Green, Montpellier and Moors Academy. “I have been keeping my eye on Pelsall and they are going to be a very tough side to beat,” said Oakes. “They made 14 signings at the start of this month and have amalgamated with Walsall Wood Reserves. Fairfield will be without talisman Ben Smith who has been forced to retire due to a recurring foot injury. Scott Holiday, Lewis Smith and Pete Jenvey are also unavailable but James McKeown returns to the fold.